One (short!) year ago today, BP’s Deepwater Horizon oil drilling rig exploded 42 miles off the coast of Louisiana. Eleven families lost loved ones on that day, but the social, economic, and environmental damage had only begun. By April 22, 2010 the $560 million rig sunk, leaving oil spewing from the seabed into the Gulf of Mexico. On the 29th, the state of Louisiana declared a state of emergency due to the threat posed to natural resources, and U.S. President Barack Obama stated that BP was responsible for the cleanup. 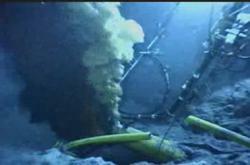 Hopeful in those first days, remote underwater vehicles were sent to activate the blowout preventer, but the effort failed. In the following weeks that turned into months, controlled burns, booms, skimmers, and dispersants were used to cleanup oil as efforts to stop the oil flow were underway. The Justice Department launched a criminal and civil investigation, a moratorium on oil drilling was enacted and later rescinded, and the no-fishing zone grew to 37% of American Gulf waters. After 5 months, 8 days, and roughly 5 million barrels of spilled oil, a pressure test finally determined that a relief well had successfully stopped the oil flow. 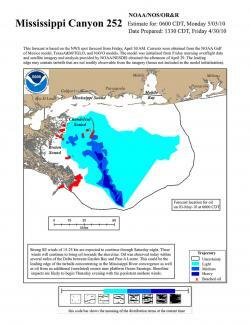 The spill was the world’s largest accidental release of oil into a marine environment. The BBC wrote an article to commemorate the event and bring readers up to speed on the status of the Gulf today. National Geographic also has some neat zoomable maps. The official estimate is that some 50 million to 140 million gallons spilled. And, last, here's a map of the world's largest oil spills. Holy cow, Buzzketeers. The oil spill news just keeps coming! I can hardly keep up READING about it, much less BLOGGING. So I'm going to leave you this weekend with a series of cool links, and you and I can read together. Start with this mind-boggling plethora of interactive features and graphics from the NYTimes Gulf of Mexico oil spill multimedia collection. 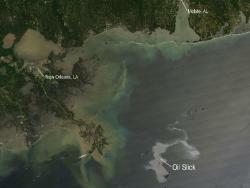 An interactive map tracking the Gulf of Mexico oil spill, plus: video, graphics, and photos." "Two weeks ago, the government put out a round estimate of the size of the oil leak in the Gulf of Mexico: 5,000 barrels a day. Repeated endlessly in news reports, it has become conventional wisdom. But scientists and environmental groups are raising sharp questions about that estimate, declaring that the leak must be far larger. They also criticize BP for refusing to use well-known scientific techniques that would give a more precise figure." "Tony Hayward, the beleaguered chief executive of BP, has claimed its oil spill in the Gulf of Mexico is "relatively tiny" compared with the "very big ocean". "The Gulf of Mexico is a very big ocean. The amount of volume of oil and dispersant we are putting into it is tiny in relation to the total water volume," he said." "Scientists are finding enormous oil plumes in the deep waters of the Gulf of Mexico, including one as large as 10 miles long, 3 miles wide and 300 feet thick in spots. The discovery is fresh evidence that the leak from the broken undersea well could be substantially worse than estimates that the government and BP have given." "NEW ORLEANS — After more than three weeks of efforts to stop a gushing oil leak in the Gulf of Mexico, BP engineers achieved some success on Sunday when they used a milelong pipe to capture some of the oil and divert it to a drill ship on the surface some 5,000 feet above the wellhead, company officials said." "Local environmental officials throughout the Gulf Coast are feverishly collecting water, sediment and marine animal tissue samples that will be used in the coming months to help track pollution levels resulting from the Deepwater Horizon oil spill. Hundreds of millions of dollars are at stake, since those readings will be used by the federal government and courts to establish liability claims against BP. But the laboratory that officials have chosen to process virtually all of the samples is part of an oil and gas services company in Texas that counts oil firms, including BP, among its biggest clients." "GRAND ISLE, La. — Local and state officials here voiced desperation on Thursday as their fears became far more tangible, with oil from the BP spill showing up on shore as tar balls, sheens and gooey slicks. In Washington, the Environmental Protection Agency said it had told the oil company to immediately select a less toxic dispersant than the one it is now using to break up crude oil gushing from a ruined well in the Gulf of Mexico. Once the agency has signed off on a different product, it said, the company would then have 72 hours to start using it." "The release of millions of gallons of oil into the Gulf of Mexico could have profound effects for wildlife and aquatic life, and now is threatening to go beyond the Gulf. Midmorning looks at the impact of the spill." And last, but not least, here's the relevant page on the website of the Select Committee on Energy Independence and Global Warming, which has a nice aggregator of oil spill news, along with video from the ocean floor. Massachusetts Representative Edward J. Markey, chairman of the Energy and Commerce Committee, requested that BP make its real-time camera feed of the Gulf of Mexico oil spill available to the public. And BP did. In theory, you can watch video of the oil spill on the Energy and Commerce Committee's website. But too many people wanted to see it--I sure did!--and ECC's servers are down. There's a link to the feed on the NYTimes' Green blog, if you want to check back later. One website, DeepWaterHorizonResponse.com, combines information from multiple official sources. Gulf of Mexico Deepwater Horizon Incident: Screen captureCourtesy ARTiFactor Social media techniques are being applied in response to the 2010 BP oil spill disaster. The site is being maintained by British Petroleum, Transocean, the U.S. Coast Guard, the National Atmospheric and Oceanic Administration, the U.S. Department of Homeland Security, and the U.S. Department of Interior. Front and center is a Flickr slideshow hosted by U.S. Coast Guard Eighth District External Affairs. In the right column is a list of "latest information" links to news items and also PDFs and Word documents describing dispersants, booms and skimmers, and many "how to ..." tasks like reporting oil soaked wildlife or submitting claims for damages. I wish to thank ReadWriteWeb for pointing me toward this site. The site allows you to register for updates. It also provides numbers to call for oiled wildlife, to report oil spill related damage, to report oiled shoreline, to request volunteer information or to submit alternative response technology, services or products. BP oil spill projection for May 3, 2010Courtesy uscgd8 Chemicals known as dispersants are now being used against the ever increasing amount of oil leaking out of a deep water well head. Dispersants help break the larger masses of oil into smaller droplets which will mix into the water. These dispersants are being sprayed onto the surface slicks and are also being injected directly into the oil flowing out almost a mile under the surface. How do chemicals disperse the oil? Dispersant chemicals contain solvents to assist it in dissolving into and throughout the oil mass and a surfactant which acts like soap. Surfactant molecules have one end that sticks to water and one end that sticks to oil. This, along with wave action, breaks masses of oil into droplets small enough that they stay suspended under water, rather than floating back to the surface. Such cleanup products can only be used by public authorities responding to an emergency if they are individually listed on the National Contingency Plan Product Schedule. Many of the first dispersants used in the 70s and 80s did show high toxicity to marine organisms. However, today there is a wealth of laboratory data indicating that modern dispersants and oil/dispersant mixtures exhibit relatively low toxicity to marine organisms. According to National Geographic News, "Dispersants only alter the destination of the toxic compounds in the oil." Moving the oil off the surface protects the birds and animals along the shoreline but will increase the oil exposure for fish, shrimp, corals, and oysters. I hate to mention what hurricanes will do to this situation. What Can't One Make Bio-Fuel Out Of? Move over, old, lame bio-fuels! 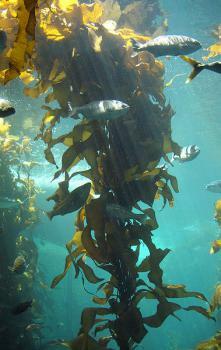 Algae! The wondrous plants that can grow easily in controlled conditions and whose needs are very basic for rapid growth is now being tested for use in bio-fuels. ExxonMobil, looking to expand and diversify their alternative fuel options will team up with Venter's Synthetic Genomics Inc. to conduct research on different types of algae to test their effectiveness as biofuels. The so-called "first generation" bio-fuels caused problems globally when the price of corn (for corn ethanol) sky rocketed when it was being used for food and fuel . Though a small percent of corn (or other) ethanol is added to gasoline, it still has a huge effect on the market, and is therefore not the best long term solution to eliminating our addiction to oil. Many view bio-fuels as only a transitionary solution to the oil problem, hoping that a sustainable energy type (like solar or wind) may soon be widely available. Algae if successful as a bio fuel, it may be used for a longer period than the "first-generation" bio fuels because of how fast it can grow and how easy it can be to care for. It also isn't used for much else, not like corn anyway. Engineers are hoping to develop artificial environments for algae to grow in knowing that this is the only way to produce enough of the green slime to sustain our needs. It is encouraging, in some ways, that a big business like ExxonMobil is getting involved because research will not be short funded. If there is a will, there is some green slime that can't wait to get in your car! It's a new day in America: Where should our energy come from now?Courtesy timsamoffOn January 21, 2009, there’s going to be a brand new administration in the White house. Defining the energy policy of the United States is going to be a big issue, and one that’s likely to get tackled early on. The members of the Obama Administration are going to have their own ideas about how our country should get its energy, but what do you think? 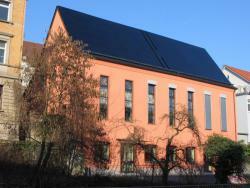 Is green energy your one and only? Are you a coal man? A nuclear gal? Or do you fall asleep murmuring “drill, baby, drill”? Some options are going to be more expensive than others, each will affect the environment differently, and some are going to take more time before they’re ready. So what’s it going to be? 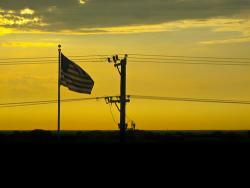 Voice your opinion in Science Buzz’s new poll: Energy and the Obama Administration. You might not have been able to vote on November 4, but you can vote now, and you can let everyone know why you think what you think.